Can anyone recommend a good right angled XLR male to XLR female adaptor, and where to buy (in the UK)? I don't want just the connector that I then have to wire onto the cable, it's an actual adaptor I'm after to get easier access for a standard mic cable to the back of my interface. Both connectors joined by a short cable would do it, like a patch cable. There's plenty on Amazon but I don't recognise any of the brand names, and I don't want to risk buying some cheap junk that'll degrade the signal quality between mic and interface. Goodmorning, maybe this one. Procab are good cables. Studiospares have Neutrik ones in various lengths. I expect Canford do too. Janneman wrote: Goodmorning, maybe this one. Procab are good cables. Also one that's not discontinued and unavailable! But Mick will need to solder to the back of that panel, and from his first post, he doesn't seem keen on soldering. 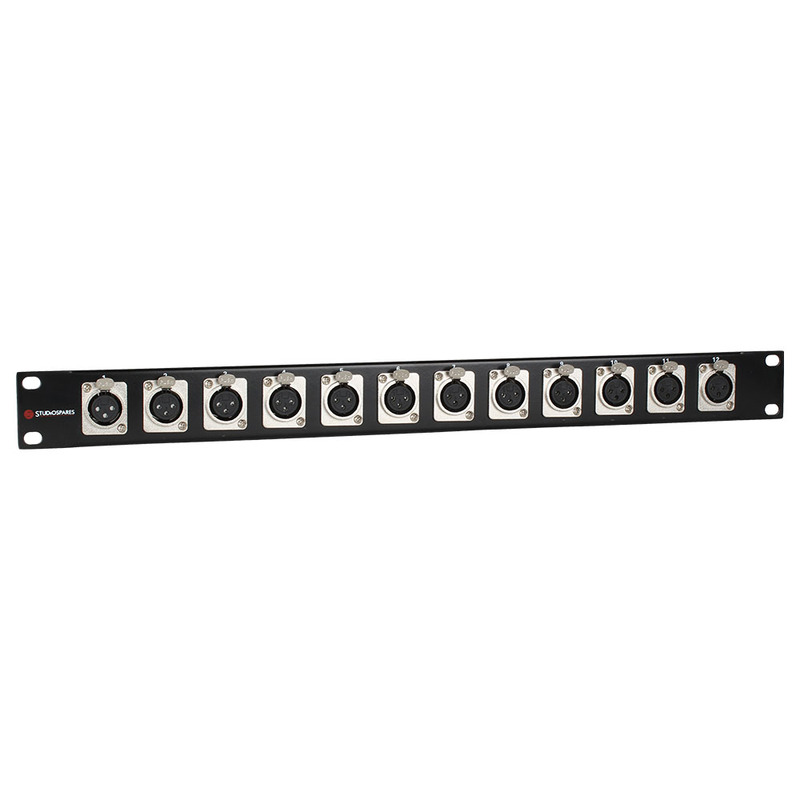 However, I have the same Studiospares panel in my rack for connection to my rack gear and it's great. But Mick may not have an actual rack. Just offering ideas for alternative (and better) solutions... some extra work may be involved for a better outcome... I'm sure Mick can voice his own opinions on the suggestion. My application is based around having permanent connections in my home studio. It's just to get over a problem where the vertical metal stansion of my desk is too close to two inputs at the rear of the interface so I can't actually connect to them, hence the need for right angled male. All other inputs are accessible so, whilst I did think of the patch bay idea, I decided it was overspec for what I need, given that it's permanent connection I'm after and keeping all cables at the rear and out of sight too. Sorry Mick: According to the Bax website those cables are discontinued. Rycote do a nice one - very short at the back. But I've noticed they still do do a 1' long one (it's a 10' one that's discontinued), which would suffice to extend an existing cable. I 'm sorry. I have a bad/cough cold and I meant 1m, not 1' and 10'!